The four-year technical high school opened in September 2007 with 40 students enrolled. The STEM-intense school's focus includes providing an education on 21st century skills in a project-based learning environment, via collaboration with business, organized labor and government. 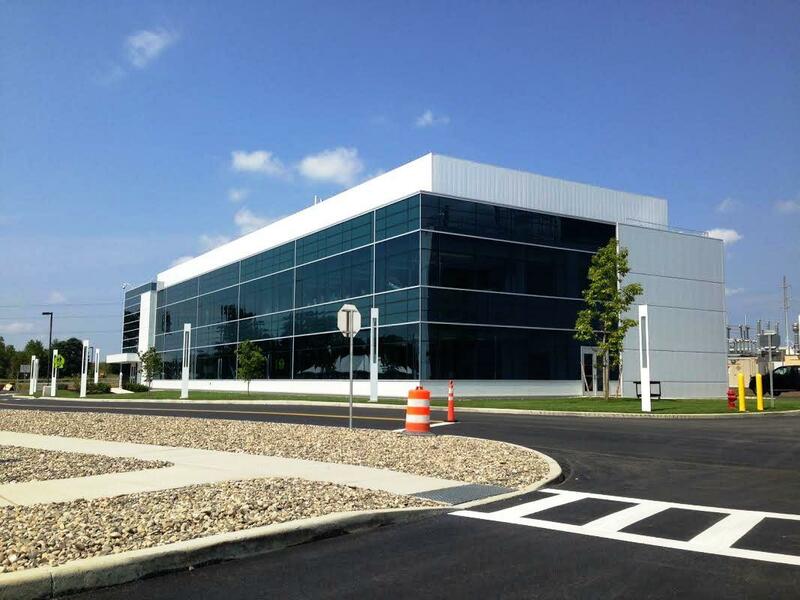 The move raises the already high profile of the NanoCollege, which has become a major Washington Avenue campus. CNSE CEO Alain Kaloyeros says the timing couldn't be better. "As Governor Andrew Cuomo continues to expand New York's global leadership in nanotechnology, it is more important than ever to prepare our young people to enter the high tech workforce that has taken shape in New York state. That means giving them a solid foundation in science, technology, engineering and math, or STEM. Thanks to our partnership with Tech Valley High School, nowhere else will you find an academic ecosystem like the one that exists right here." Local leaders agree: "This high school is well-placed in the capital of the capitol of the world because it is really one-of-a-kind." Albany Mayor Kathy Sheehan embraces Tech Valley High as the city grapples with plans to overhaul the troubled Albany High School. "This can provide a model. The programming that happens here. The way that you do project-based learning can inform the decisions that we make about our high school that is serving the students here in our city." Andrea Musteata is a sophomore at Tech Valley High. "I actually went to Tech Valley because I heard that they might be having a partnership with CNSE. So I thought that would be really quite good for the school and for my future." Mission ::: Tech Valley High School provides a unique and innovative student-centered educational opportunity, engages students in current emerging technologies and supports the growth and economy of the region. Musteata is hoping to get degrees in biomedical engineering and biophysics, on her way to becoming a cardiac surgeon. The school, with 140 students enrolled for the fall semester, is run jointly by Questar III BOCES and Capital Region BOCES. The new facility features breakout space for small group work along with classrooms that can be reconfigured to correspond with any given day's lesson. Kaloyeros pointed out that CNSE's Children's Museum of Science and Technology will also inhabit ZEN. Capital Region BOCES District Superintendent Dr. Charles Dedrick says Tech Valley doesn't fear Common Core overhauls. "A lot of talk in education right now about standardized tests. The fact is, that the students at Tech Valley High School will all take the same standardized tests that any other student in any other public high school in New York will take. But you know what? You won't hear much about it here. And you know why you won't hear much about it here? Because of good teaching. Good teaching equates to good test scores. And the fact is, that is our success at Tech Valley High School. Teaching and learning." Lt. 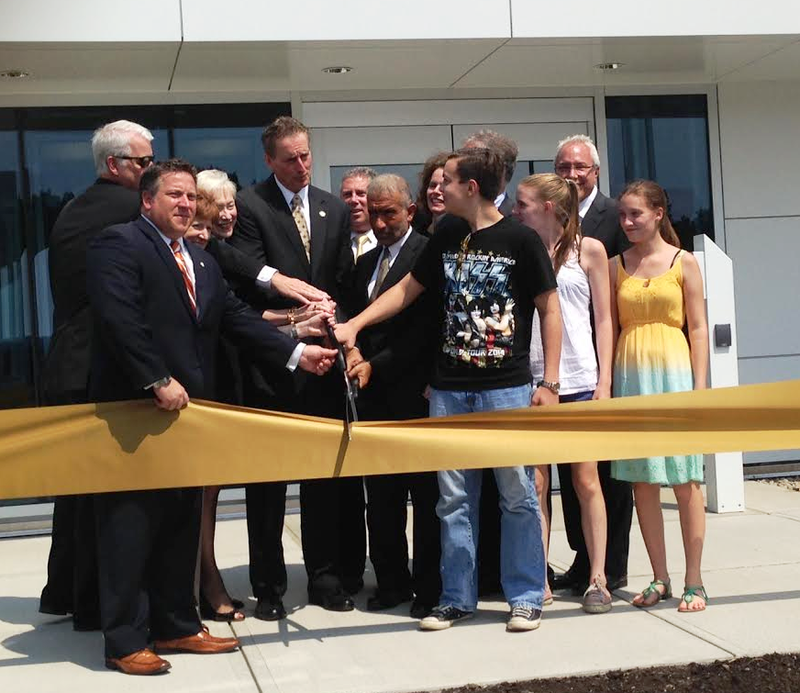 Governor Bob Duffy attended the ribbon cutting. "This is the future for education for all of our students. The young men and women from Tech Valley are gonna go through these doors and come out and be able to compete worldwide. This is the future right behind us. Because as Dr. K said, 'There is nothing like this across the state.'" Troy, NY – With an endorsement from Governor George Pataki, New York State's first Technology centered-high school is on the fast-track to open its doors at the Troy-based global headquarters of the MapInfo corporation in September of 2007. WAMC's Capital District Bureau Chief Jessica Bloustein has more on plans for Tech Valley High School. Albany, NY – Members of the freshmen class from in Tech Valley High School in Rensselaer County discuss the importance of the Hudson River to the economy of NYS with Katy Dunlap, Coordinator of the Hudson river Watershed; Susan Falzon, Friends of Hudson; Jeff Anzevino, Assistant Director for Land Use Advocacy, Scenic Hudson; and P. Thomas Carroll, Executive Director of Hudson-Mohawk Industrial Gateway and Riverspark. Albany County Executive Daniel McCoy, Albany Mayor Kathy Sheehan, and the College of Nanoscale Science and Engineering Chief Executive Officer Alain Kaloyeros today announced a three-way financing agreement for the Zero Energy Nanotechnology (ZEN) building currently under construction on the college’s Fuller Road campus. The under-construction, $200 million ZEN building will house renewable energy and clean-tech research. It is designed to operate as a zero-energy building — hence ZEN — that generates its own power.